We had eaten a goose who we had looked in the beak. Spent Xmas morning in our onesies. But there were to be yet more ‘firsts’ to come this Christmas. Christmas 2011 was the Christmas we went skiing. As a family. Together. A magical first where we could discover the joys of heading on piste together, laughing, falling over but dusting ourselves down and getting back up, heading off for chocolat chaud with contented grins on our faces and a sense of joint achievement. Except that wasn’t what happened. The real version involved us dragging our less than enthusiastic two boys to a resort about an hour and a half drive away called Cauterets. 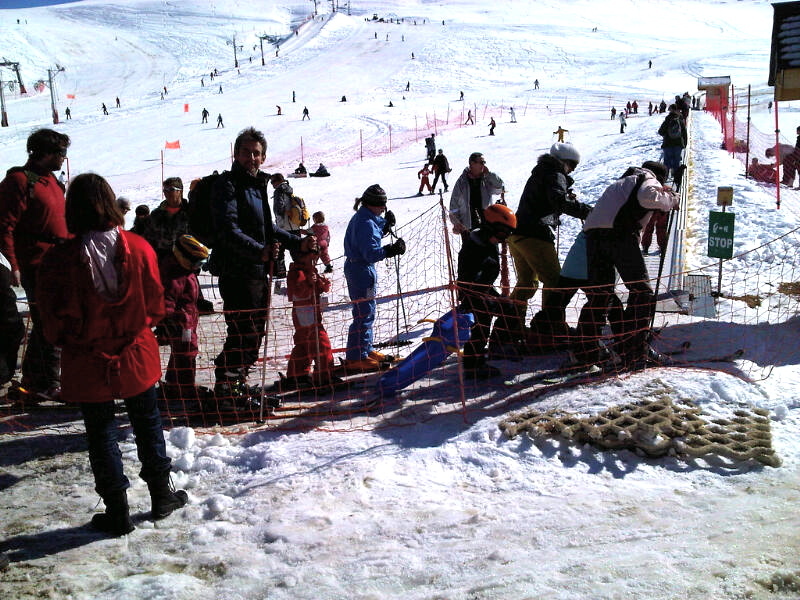 We excitedly rented our skis in the village and then joined a queue for a lift to take us up to the slopes. And then we queued. And our skis were heavy and cumbersome. And we queued. And it was cold. And we queued. And we were BORED! Two hours later we finally got on a lift. And we were at a packed, less than charming resort to find all ski lessons booked, neither child nor I able to go two feet without falling over and our only attempt to get onto the nursery slope prevented by grumpy French people stepping over us or pushing us out of the way as we fell over en route to the magic carpet. Arthur declared it ‘the WORST day ever’ and I’m inclined to agree with him. Was THIS the fun people wax lyrical about? 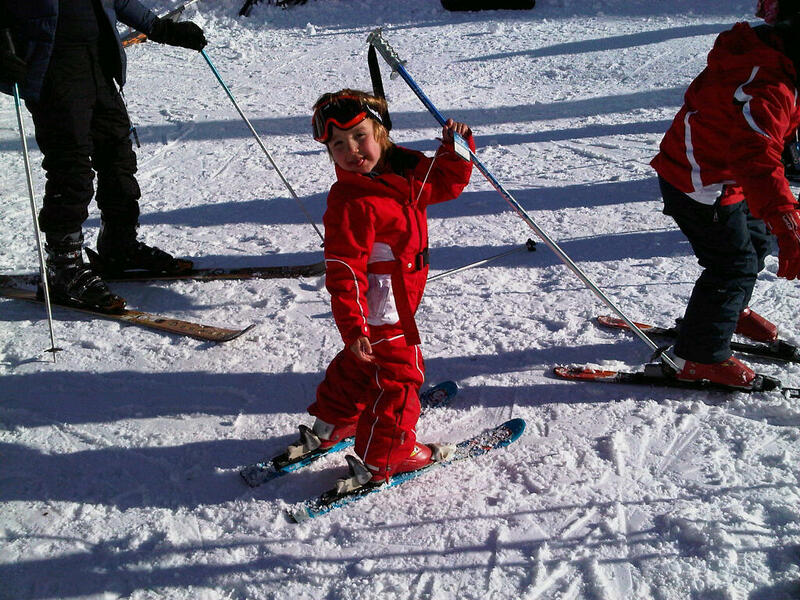 Peter was a seasoned skier (with a Prince Charles style all in one ski suit to prove just how long he’d been skiing. 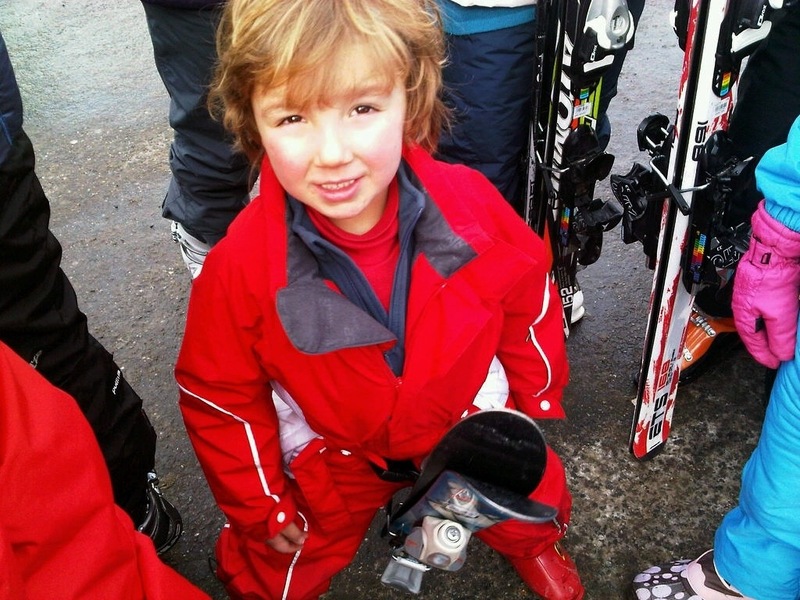 His skiing dates back to a time when people went to C&A for ski gear and thought they were sophisticated!) so I think he had hoped his family could join him in his love of the white stuff. As we trudged back down the mountain having paid hundreds of pounds in gear hire and lift passes and having skied NOT AN INCH Peter looked like a broken man. He is a patient man and as you can see from the photo below he is ordinarily a happy man (note photos were taken BEFORE we even got in lift!) But Peter had never experienced skiing with people who couldn’t even get the skis on and then proceeded to throw insults at each other like a family on Jeremy Kyle who’ve just found out their uncle is really their dad. Thank god for that trip to Decathlon! It was, to quote, Craig Revel Horwood, a dee-sas-ter. We drove home feeling depressed. Cold and depressed. And our house was a mess. And it was cold. And once again I began to wonder why the hell our holidays have to be so hard. Even a skiing trip was a little off piste. No package hol with ECF lessons booked in for the kids and free time for Peter and I to spend together. Instead just a fraught, cold waste of time day where I still couldn’t ski and neither could either child. Though the pics DID look impressive on Facebook! Our friends would never know the truth. But like cyclist Tom Simpson who mythically said ‘put me back on my bike’ (after a bad fall and he went on to die so really should have said ‘let me go for a lie down’) we decided to give skiiing one last go. 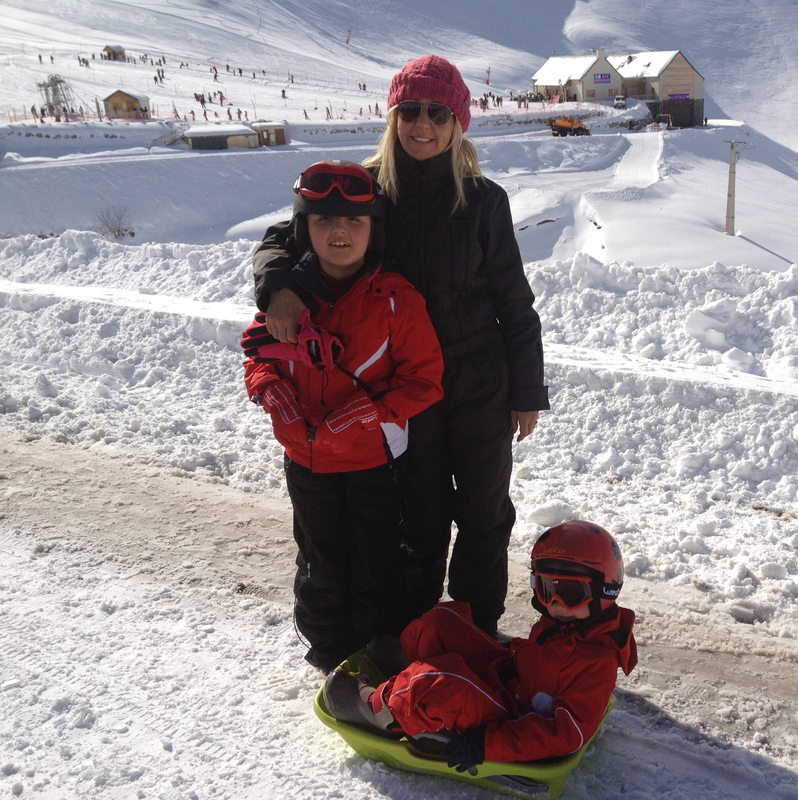 This time we visited a resort nearer to us called Hautacam. Our neighbours had suggested we visit as it was very close but VERY basic. Just a couple of runs, a cafe and a ski hire shop. Which it turned out was just what we needed. 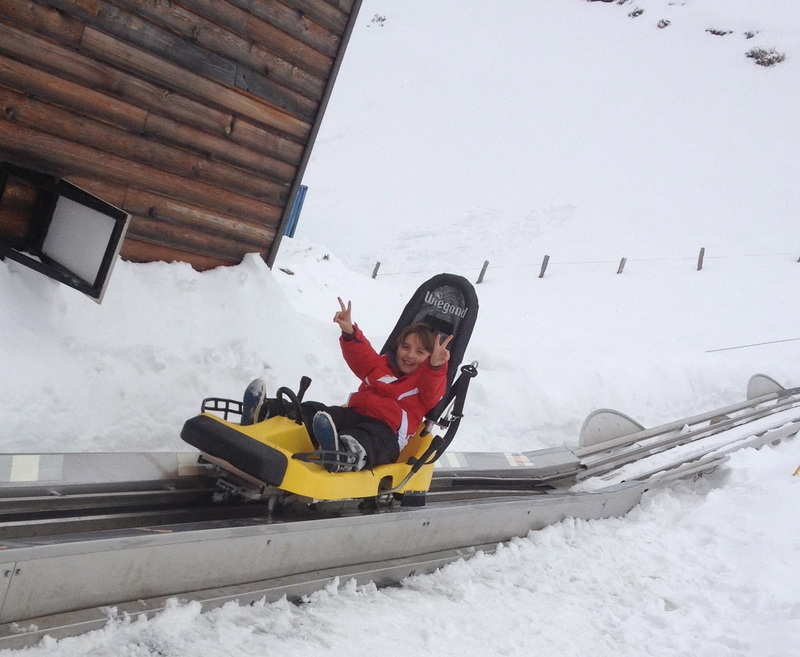 It also had a mountain luge which the kids loved and although we weren’t exactly Frans Klammer we did at least get on a mountain. And go down a slope. 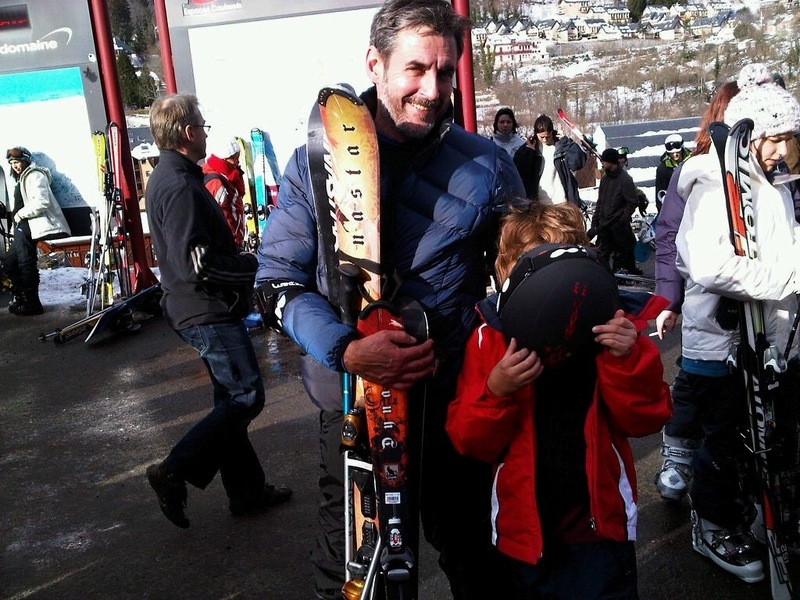 And Peter got to scratch his ski itch and I was utterly rubbish which made everyone laugh. I did however get to debut a fantastic all in one ski suit I’d found. Maybe Pete was a bit previous in throwing his out. It ALL comes back round you know. 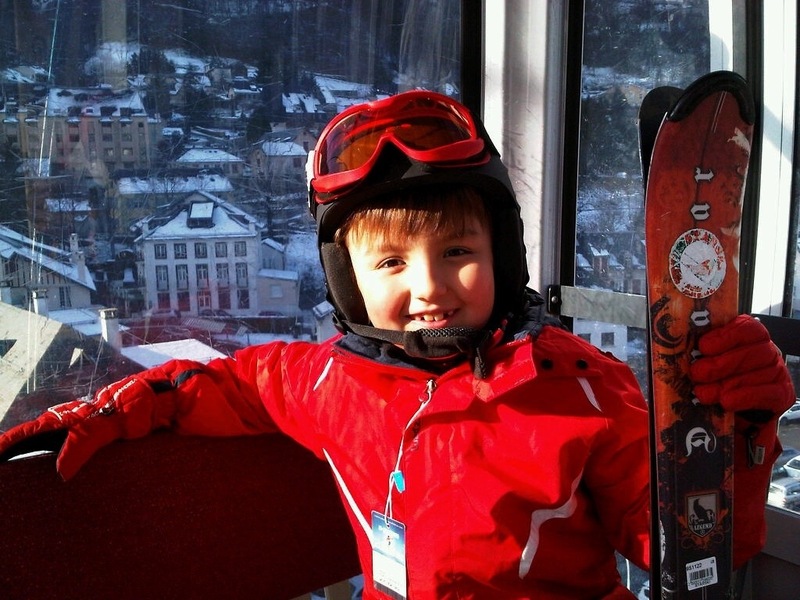 This entry was posted in Uncategorized and tagged cauterets, hautacam, Skiing with kids by vicawhite. Bookmark the permalink.